He’s an Art Angels guy. 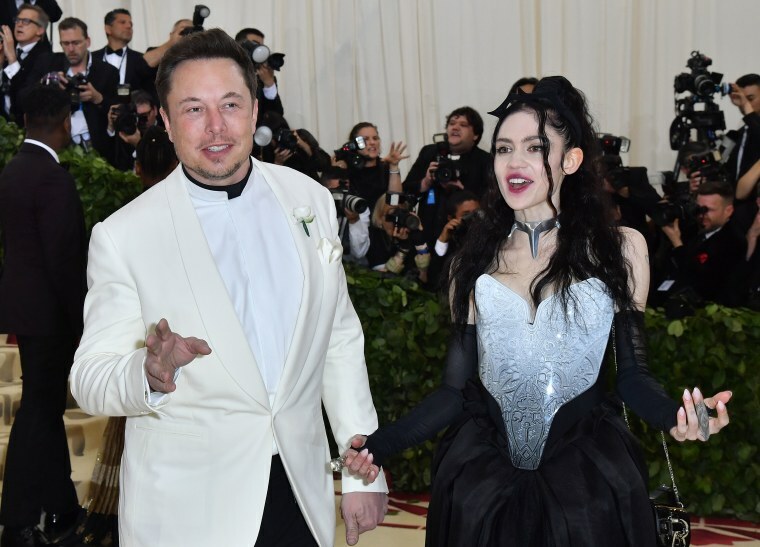 The internet, it's fair to say, has not dealt with the news that Elon Musk and Grimes are reportedly dating very well. The tone has been incredulous and the memes plenty. Understandably fans have been approaching the Tesla billionaire to see what his intentions are and what he knows of the Grimes ouevre. On Tuesday night, May 7, Musk replied to one Twitter user asking what his favorite songs of his rumored partner were and he responded with two hits from her most recent album. If you believe the rumors then Musk and Grimes met via Twitter when he searched an obscure A.I. pun and discovered she had beaten him to it by three years. The couple appeared together for the first time at Monday evening's Met Gala in New York. Grimes has said she is planning to release two albums this year with new music expected soon. Just in time for Musk to update his "Grimes bangers" playlist.